Intelligent Fire Alarm Aspiration Sensing Technology (FAAST) provides early warning to investigate and potentially forestall an impending fire hazard. With a wide sensitivity range and multi-level warnings, even minute levels of smoke can be detected before a fire has time to escalate. The FAAST family of intelligent aspiration detectors includes the FAAST single pipe detector capable of covering up to 5,000 sq. ft., and the FAAST XT four pipe detector which is suitable for applications up to 28,000 sq. ft. Intelligent FAAST units are truly integrated with ONYX systems via direct connection with the SLC using FlashScan protocol, or using other flexible options such as build-in relays or connection to the building’s Ethernet portal to provide access and monitoring from anywhere in the world. 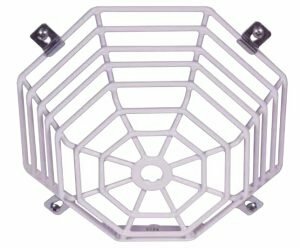 FAAST detectors are approved for Class 1 Div 2 applications. These unique capabilities simplify installation and management, reduce cost and complexity, and make aspirating smoke detection a more valuable investment over time. FSA-5000 (Intelligent FAAST XS): Up to 5,000 sq. ft (464 sq. m) through one pipe. FSA-8000 (Intelligent FAAST XM): Up to 8,000 sq. ft (743 sq. m) through one pipe. FSA-20000 (Intelligent FAAST XT): Up 28,800 sq. ft (2601 sq. m) through one to four pipes. FAAST series of detectors deliver highly accurate Standard Detection, Early Warning Fire Detection, and Very Early Warning Fire Detection that meets the needs of a variety of environments, including mission-critical facilities like data centers where downtime from smoke or fires can be incredibly costly. All FAAST detectors come standard with Modbus connectivity for integration with building management systems. Intelligent FAAST Series aspirating smoke detectors deliver highly accurate very early warning fire detection, early warning fire detection, and standard Fire Detection that meets the needs of a variety of environments, including mission-critical facilities like data centers where downtime from smoke or fires can be incredibly costly. The ability to configure FAAST for standard fire detection allows FAAST to be used in harsh environments where standard spot detectors may be subject to nuisance alarm conditions. As FAAST can be easily tested via a test port within the pipe network it can simplify the testing associated with standard detectors. 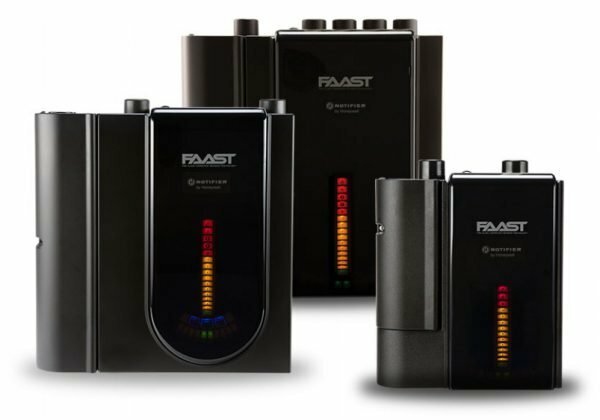 The Intelligent FAAST Series detectors combine dual-source optical smoke detection (blue LED and infrared laser) with advanced algorithms to detect a wide range of fires while maintaining enhanced immunity to nuisance particulates. The combination enables the detectors to accurately detect incipient fire conditions as early as 30 to 60 minutes before a fire actually starts. Detection as precise as 0.00029%/ft obscuration. 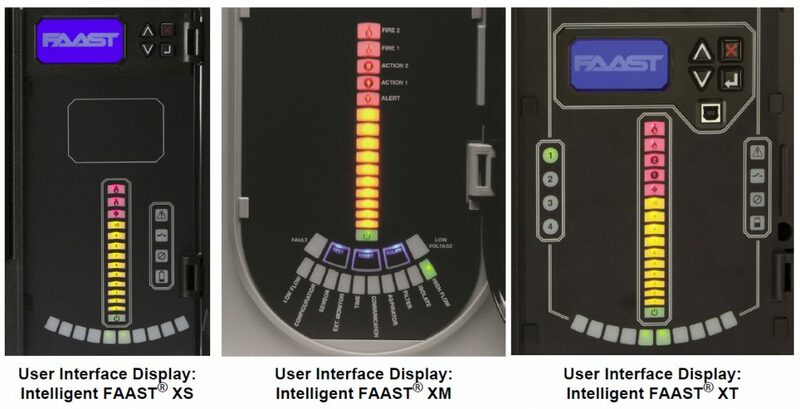 Multiple alarm levels provide application flexibility: five on FAAST XM and FAAST XT, three on FAAST XS. In Acclimate mode, the detector automatically adjusts itself to current environmental conditions to reduce nuisance alarms. 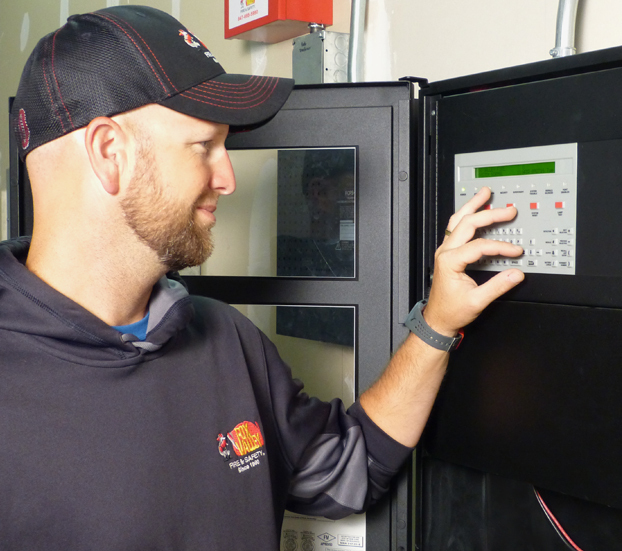 Day/Night/Weekend mode enables technicians to preset alarm thresholds based on routine changes in the environment. An Intelligent FAAST series detector can self-adapt to its environment in 24 hours. All devices provide ultrasonic sensing for pipe and chamber air-flow measurements; FAAST XM offers additional electronic sensing. Advanced detection algorithms reject common nuisance conditions. Patented particle separator and field-replaceable filter remove contaminants from the system. Intuitive system layout, configuration, and monitoring provided by PipeIQ software. Comprehensive, simple and intuitive display has real-time, quick-read information at the device including alarm levels, particulate levels, air flow, power and a wide range of faults to quickly identify the problem for prompt correction. The onboard Ethernet interface enables monitoring from any compatible Internet browser, smart phone or mobile device with VPN capability. Detector can be configured to e-mail status updates to appropriate personnel. TCP and serial Modbus for easy integration with Building Management Systems. Fault indicators exhibit a broad spectrum of events. Unique air flow pendulum graph verifies pipe network functionality. Particulate graph displays subtle environmental changes for early problem indications. Approved for use in Class I, Division 2, Groups A,B,C, and D Hazardous Locations (FAAST XM, FAAST XT only). User configurable 3-speed fan, allowing for maximum coverage area or minimizing current consumption [FSA-5000(A) and FSA-20000(A) only]. 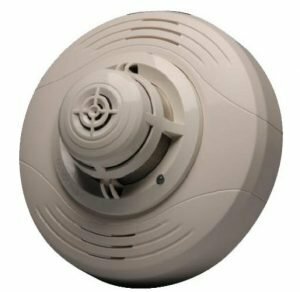 FSA-5000 (Intelligent FAAST XS): Intelligent aspiration smoke detector, covers up to 5,000 square feet. FlashScan mode. 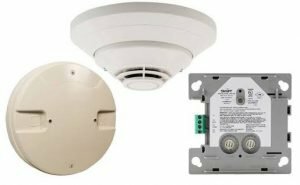 FSA-8000 (Intelligent FAAST XM): Intelligent aspiration smoke detector, covers up to 8,000 square feet. FlashScan mode. 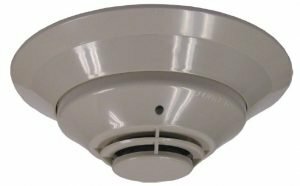 FSA-20000 (Intelligent FAAST XT): Intelligent aspiration smoke detector, covers up to 28,800 square feet. FlashScan mode. P-SAMP-KT: Sampling Point Kit (10 sets).